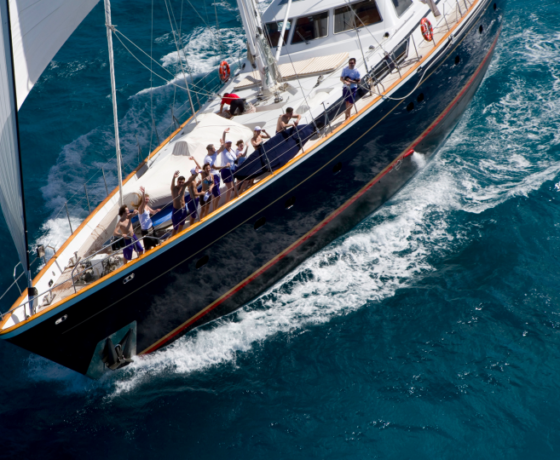 S/Y Ree is a luxury sailing yacht that offers the comfort and facilities comparable to a motor yacht in excess of 40 meters. She was designed specifically for luxury charters in Valdettaro Shipyard, Italy and armed with all the most up-to- date technology, from the very latest in sail handling to worldwide communications. She is ready to provide the ultimate sailing experience with the perfect combination of power under sail and luxury and cruises at 10-12 knots with ease. 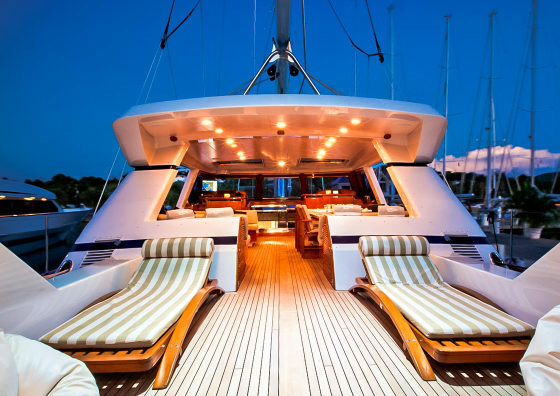 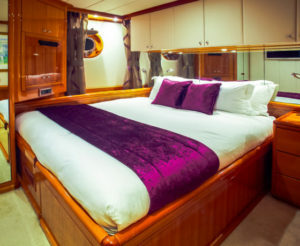 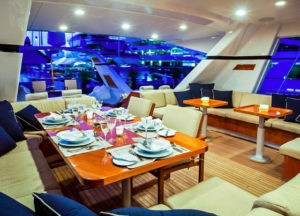 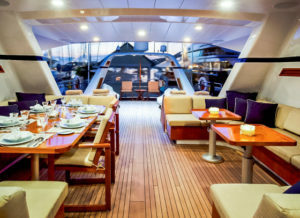 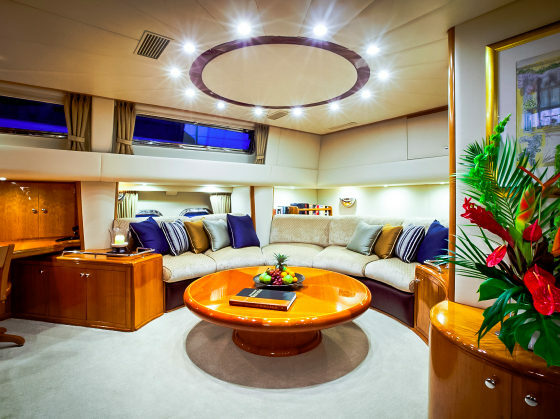 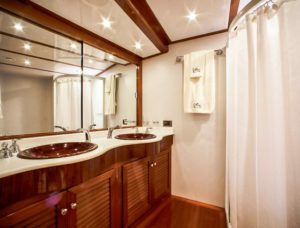 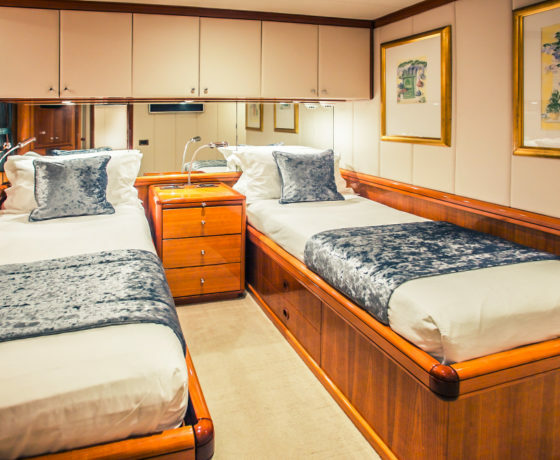 Ree boasts extensive deck space and a large and comfortable covered cockpit from which to both enjoy your sailing and time relaxing at anchor. 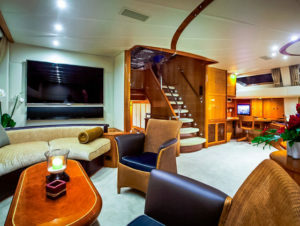 She offers a vast selection of water sports options from skiing, wakeboarding and other towable toys behind the 20' ft Zodiac tender with 70 hp. 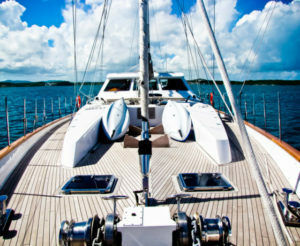 Or enjoy sailing on her Lasers, windsurf, snorkel, fish or rendezvous diving. The adventure doesn’t stop when you anchor!